Indulge in the lavish and sophisticated floral symphony of Amouage Honour Woman Eau de Parfum Spray, an olfactory tribute to the tragic masterpiece of Madame Butterfly. The poetic Honour Eau de Parfum expresses an echo of love and intimacy, capturing the heartbreaking predicament of the protagonist in a cascade of heartfelt notes. The white flora is used to signify the discourse of Madame Butterfly’s love, and each ingredient expresses a specific emotion: tuberose represents danger, jasmine - attachment, gardenia - secret love, lily of the valley - purity of heart, white carnation - innocence and faithfulness. Her innocence, fidelity and honour have been betrayed. The fragrance ideally narrates the fragility and intricacy of Madame Butterfly’s intense love: sweet and transcendent, yet deep and utterly complex. 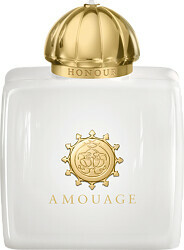 Amouage Honour Woman Eau de Parfum Spray is rated 4.5 out of 5 by 4. Rated 4 out of 5 by Nannuliini from Little bit aquatic Nice long lasting white flower perfume. My only problem is aquatic note, I can live with it, but I can't stand it every day. Refreshing so nice one for warm summer. This is not your huge and creamy white flowers perfume, but a lighter one. Rated 5 out of 5 by missundaztood from Greatest perfume ever Amouage Honour - Name of this perfume was the first thing that attract me to it, and the color of whole package totally fits the name. 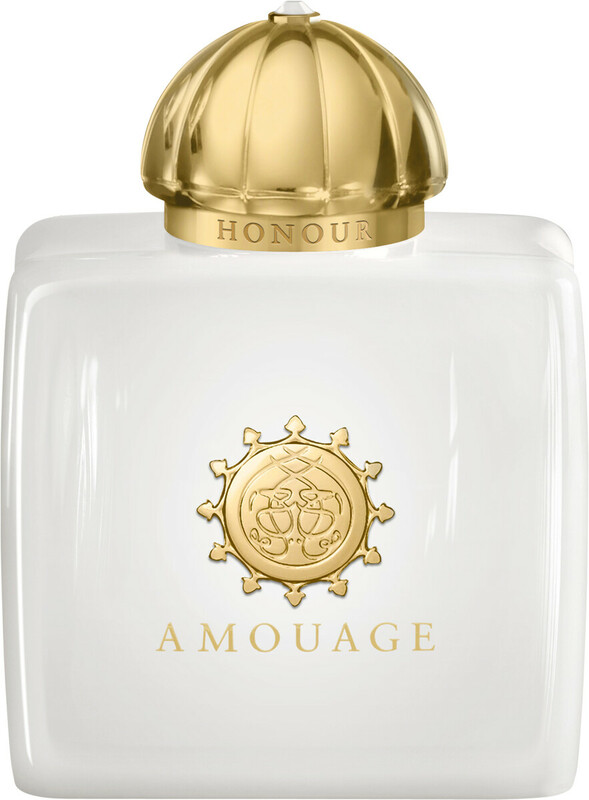 Have you ever heard about Amouage? I presume that lot of you haven't because perfumes from Amouage can't be found everywhere to buy. Interesting information about this house, is that Amouage was found by Sultan in 1983. Also, in Amouage perfumes you can find high quality ingredients, and you won't find such a high concentration of ingredients in commercially perfumes, and for that reason this type of perfumes have much richer, delightful, long lasting smell than that with commercially perfumes. Amouage already had me with name, and also the story that is behind this perfume. Yes, inspiration for this perfume was story about Madam Butterfly, and her sad life, and then he also thrill me with simple bottle, package and of course with his gorgeous smell! This is not smell that you already smell "somewhere else", in this perfume you will notice specifically and extraordinarity, even you will think for first smell that you already smell it "somewhere else" in few moments, he will argue you. If you already smell jasmine, tuberose or gardenia in some perfumes and you didn't like it, well you have all that ingredients in this perfume, but believe me, no headache with this one! You will love it. This perfume is so elegant, gentle and feminine, and I can imagine it only for special occasion, when you're feeling proudly. It has a great wearability, and he will be by you're side through whole day, and he will remind you from time to time that he is still with you. Bottles for Amouage Women pefumes were made according to Ruwi Mosque Palace. This perfume is worth of trying, even with his high price. It is Very nice perfume, you can wear it all over the year. Very elegant, sophisticated, creamy, little flowery, more powdery, not sultry, simple perfume which could be loved by most people, because it is not glaringly, he has "something special" like I believe also had Madame Butterfly, the inspiration for this, to me very special perfume. Rated 5 out of 5 by Perfumania from Amazing perfum for very good price Wonderful fragrance and a favorable price - that's is what I need and I found it here. Rated 4 out of 5 by Asuka from Splendour of flowers Balanced composition of creamy white flowers. The only issue is the intensity: I find it weak.